·Employees who have contributed to other pensions before being employed with your organization? ·A pension from another period of employment? ·Family members / friends looking to consolidate or access pension funds? ·Employees who want to transition to retirement? 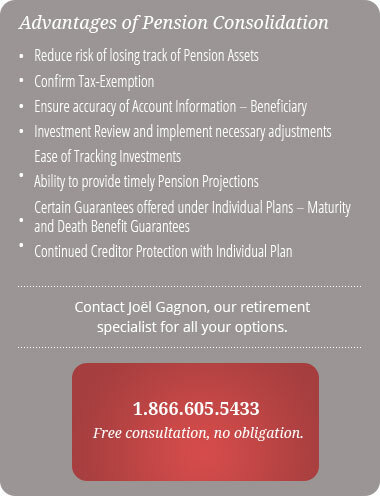 We have dedicated specialists who will ensure a smooth transition from your Pension Plan to retirement. For status employees, we can ensure that funds earned on-reserve maintain their tax free status.